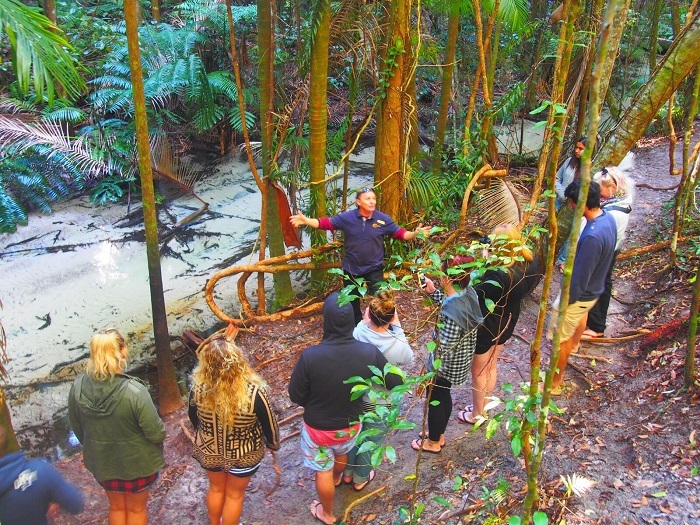 Discover the charm and beauty of Fraser Island on this one-day adventure that exposes you to all the fascinating scenery and wildlife that characterises the region. Please note: This tour does not carry children under 4 years. Child booster seats available on request. 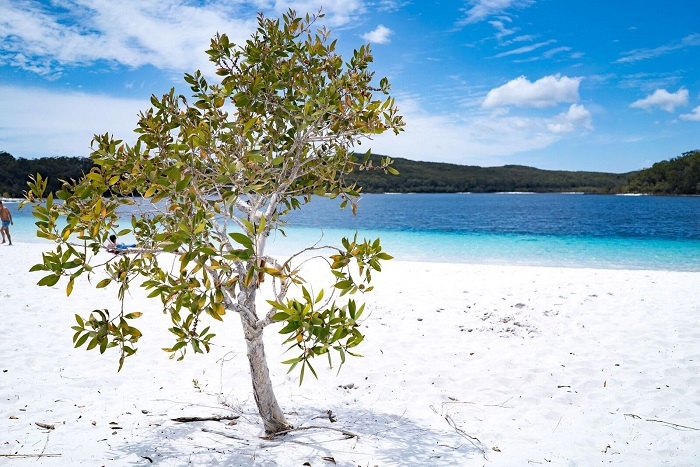 Our 1 Day Fraser Island Tour departs from Sunshine Coast and Noosa and we’ll venture across the sparkling expanse of Noosa River before arriving at the Cooloola National Park. 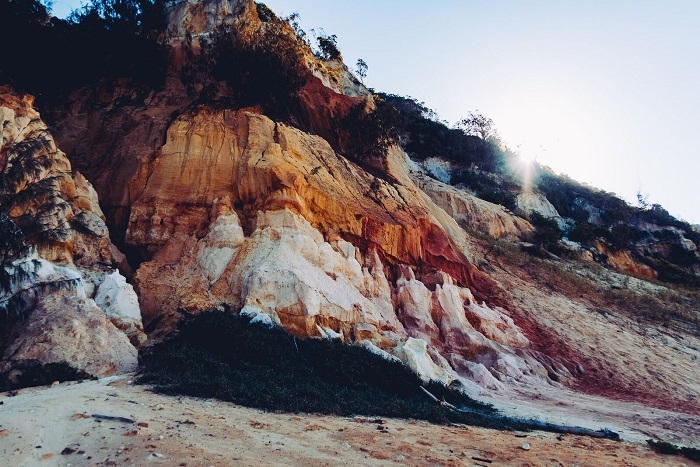 Along the way, we’ll take you past the coloured sands of Teeward and Rainbow Beach. 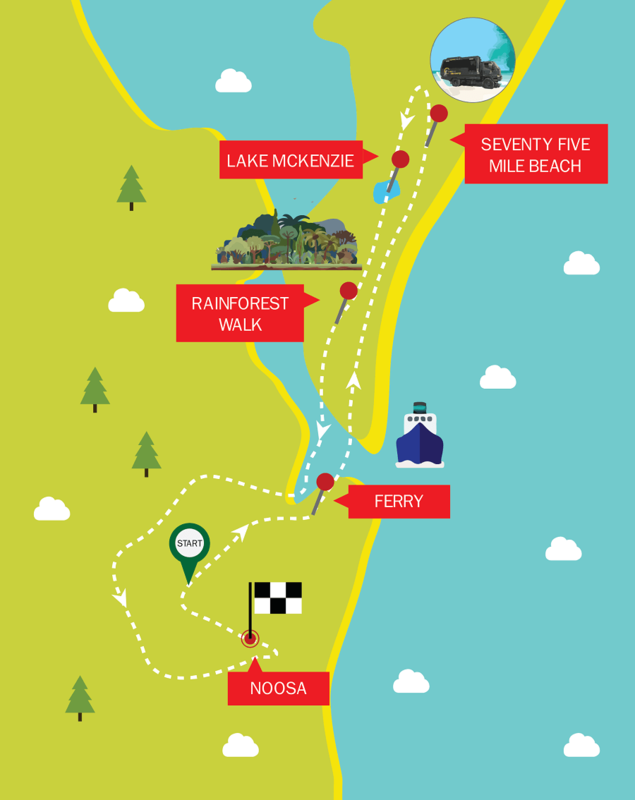 We’ll make our way across the stunning world-heritage listed Fraser Island, where you’ll get to experience traveling along the rugged coastal road of 75 Mile Beach. Explore the lush expanse of rainforest and iconic wildlife that sprawls out towards the centre of this renowned island. We’ll continue our adventure to the largest perched lake in the world, Lake McKenzie. Take advantage of the picture-perfect background and tranquillity of the sparkling Lake McKenzie. Enjoy a refreshing dip before tucking into a delicious traditional Aussies style lunch! After lunch, we’ll explore the Great Sandy National Park to explore the impressive forest of Satinay and Brushbox. 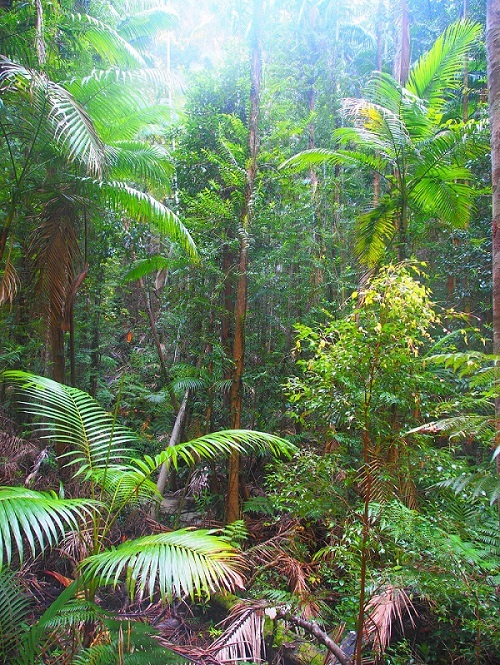 We’ll take you to explore the rainforest and rare plant life that cover this majestic island. 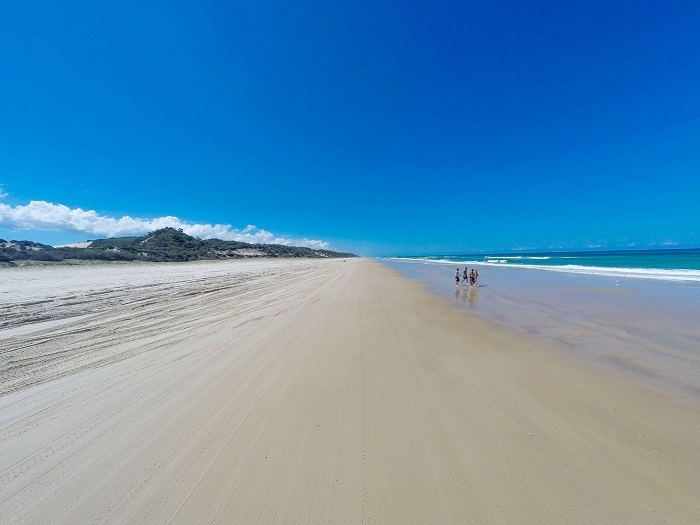 We’ll navigate back to the sandy highway, where we will stop by for another pitstop for afternoon tea in the remote stretches of the beach, as we make our way back to the Sunshine Coast and Noosa.